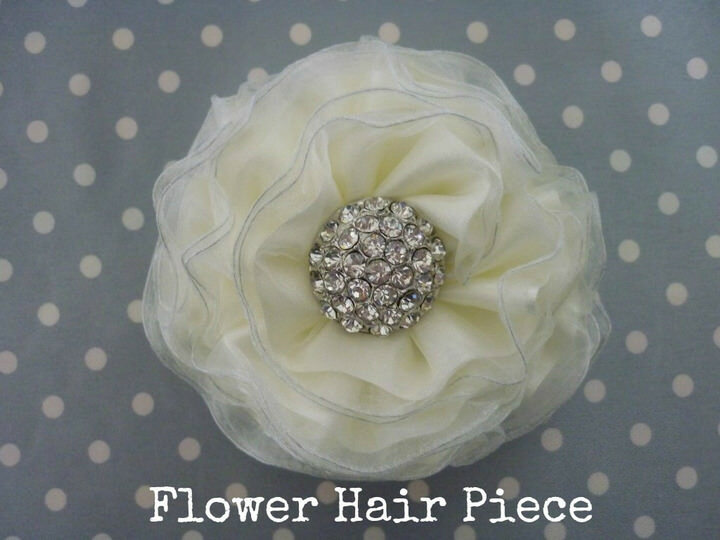 Today Lyndsey is going to be showing us how to make these cute Flower hair pieces, which can be worn as a hair clip or added to your outfit with a safety pin, to add a touch of Boho. 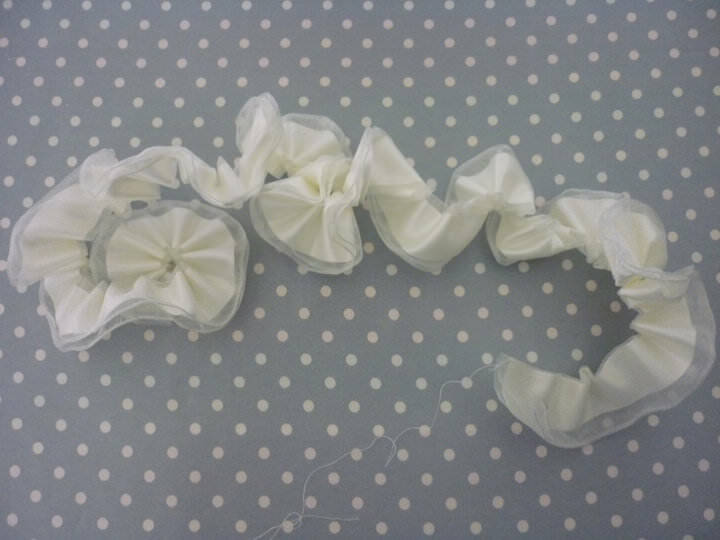 STEP 1) Take the 2 metres of wired organza ribbon and fold it in half so the wired edges meet and place the length of satin ribbon in between the folded organza ribbon. 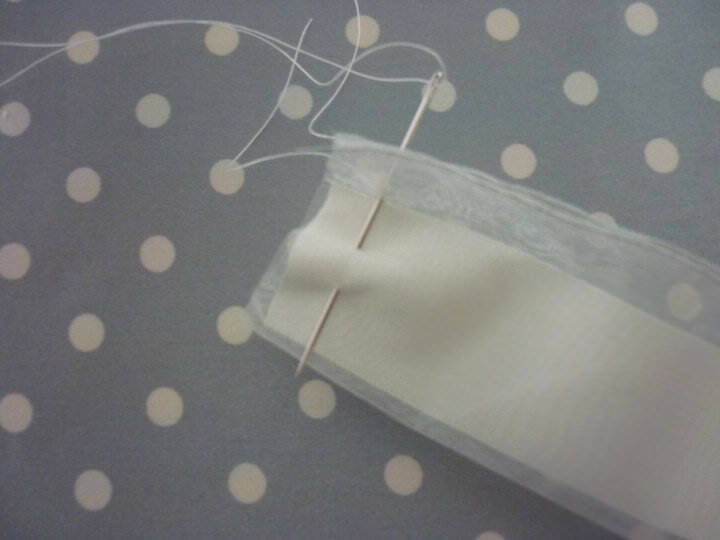 STEP 2) Take a length of approximately 1.5 metres of thread and tie a knot at one end. 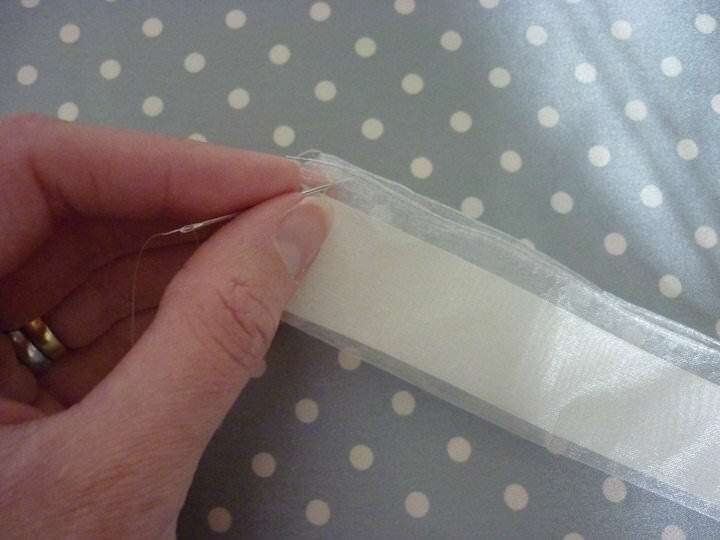 Thread your needle and starting at the end of the ribbon, closest to the wired edge, sew 3 stitches on top of each other to secure the end of the thread. 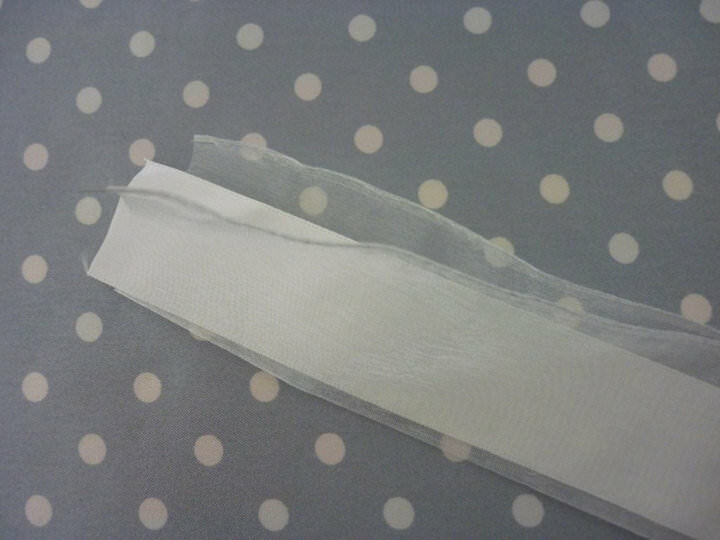 STEP 3) Using a running stitch (each stitch being about 1cm in length) sew down the left side of the ribbon, then along the length of the ribbon (along the folded edge) and up the right side of the ribbon. 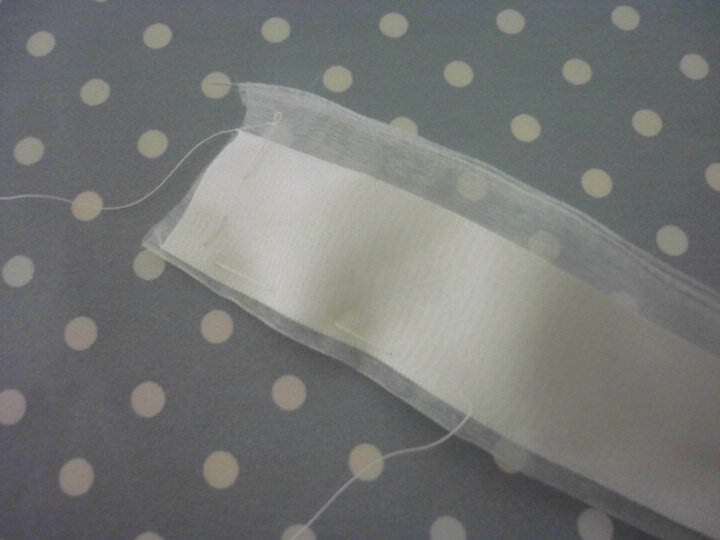 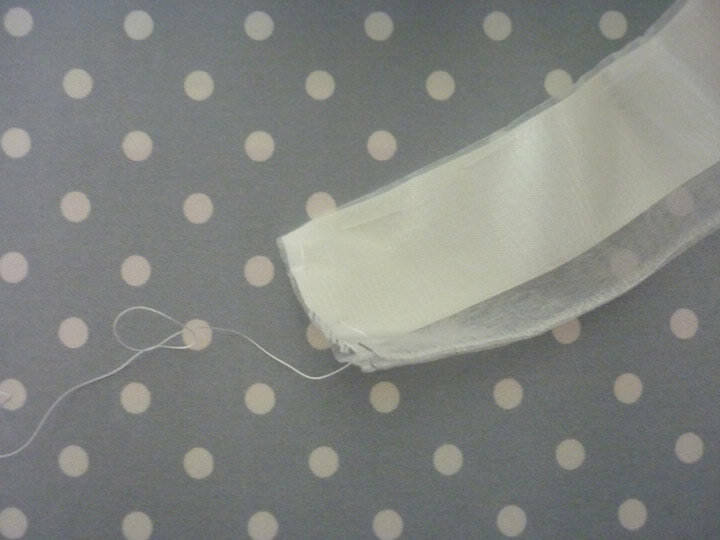 STEP 4) When you reach the end of the right side of the ribbon, pull the thread and gather the ribbon until you have the number of gathers you would like for your flower, then sew 3 stitches to secure the end of the thread. 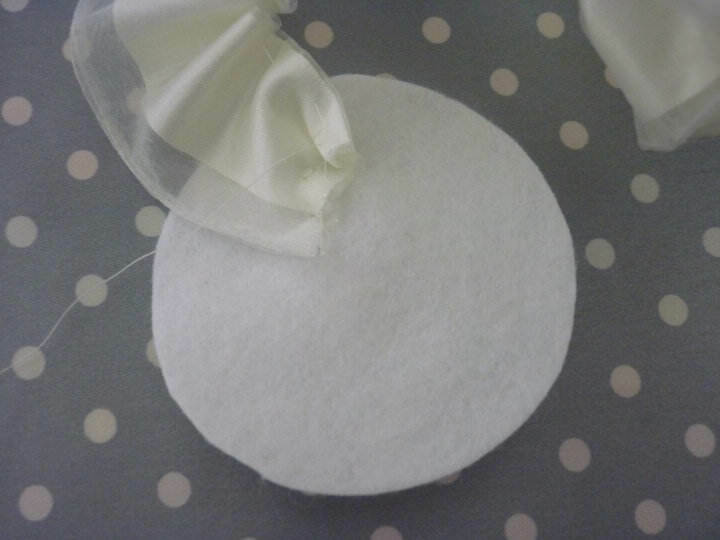 STEP 5) Take a circle of felt and sew one end of the ribbon onto the felt with the wired edge on the outside. 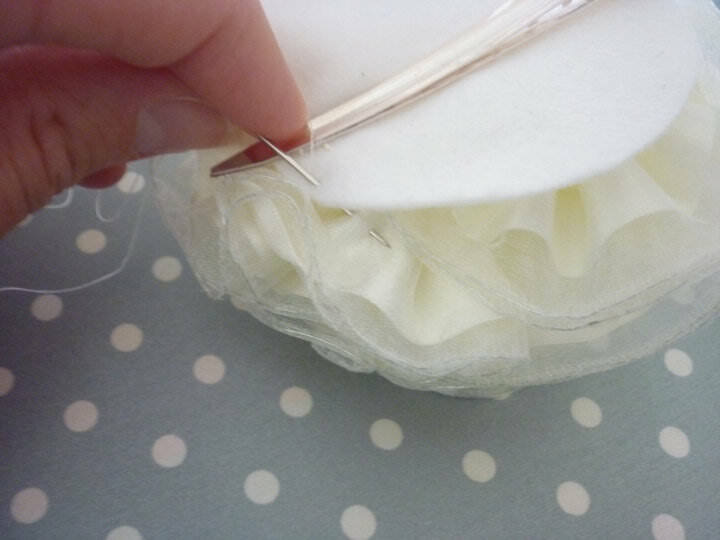 Then following the edge of the felt, sew the edge of your ribbon about every 3 gathers creating the outside of your flower. 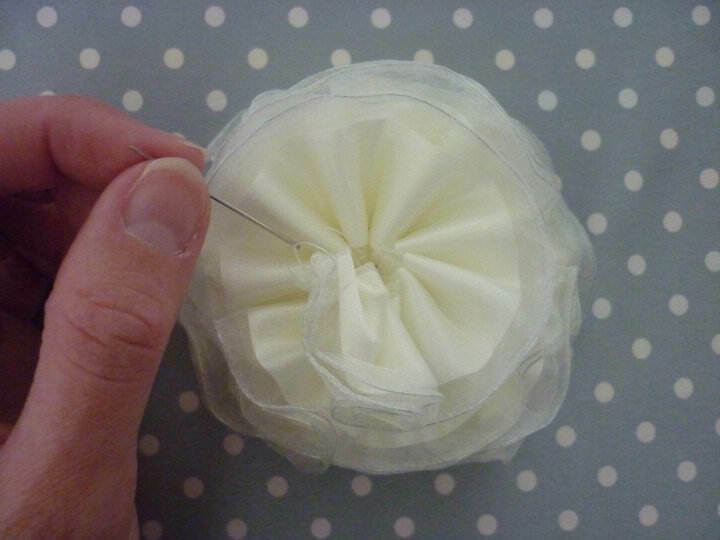 STEP 7) Sew your button in the centre. 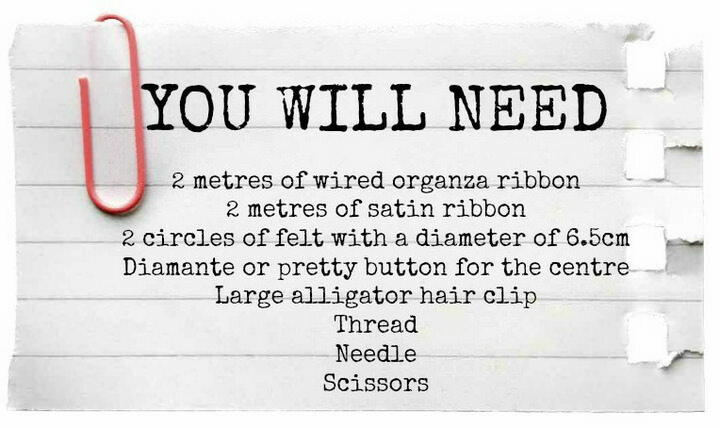 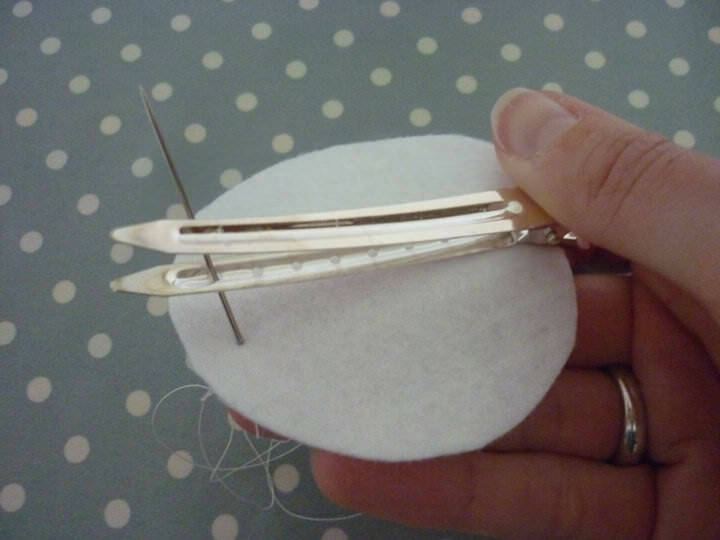 STEP 8) Take the second circle of felt and sew the alligator hair clip on to it. 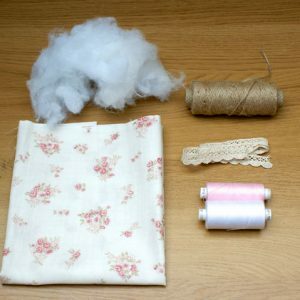 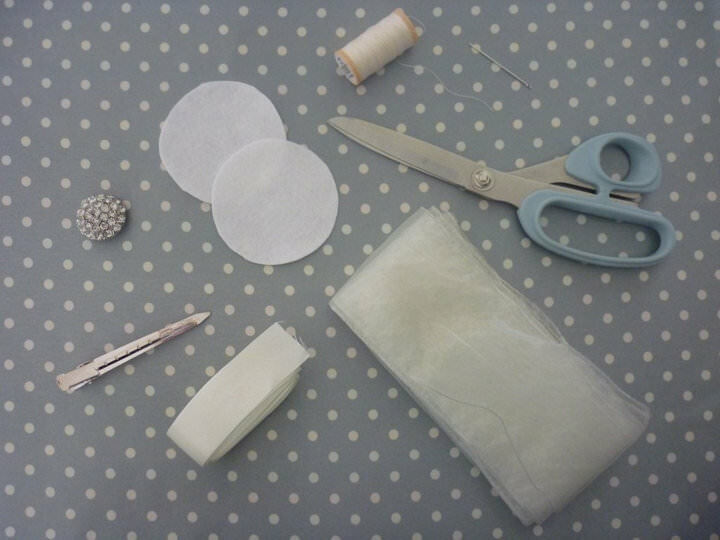 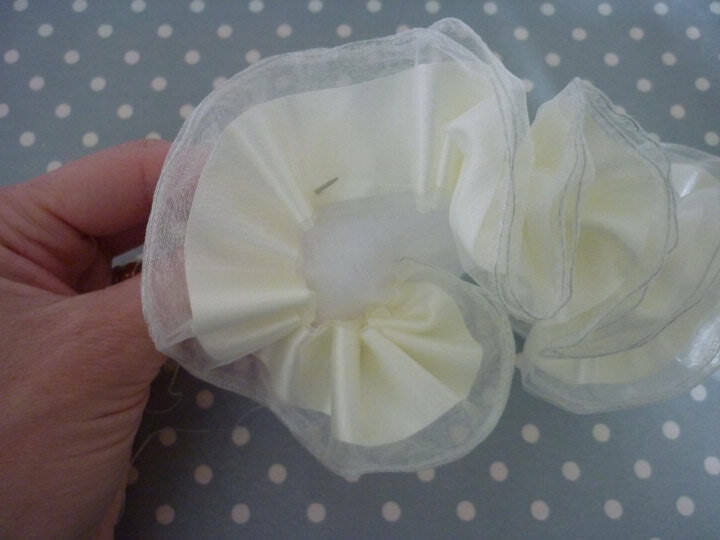 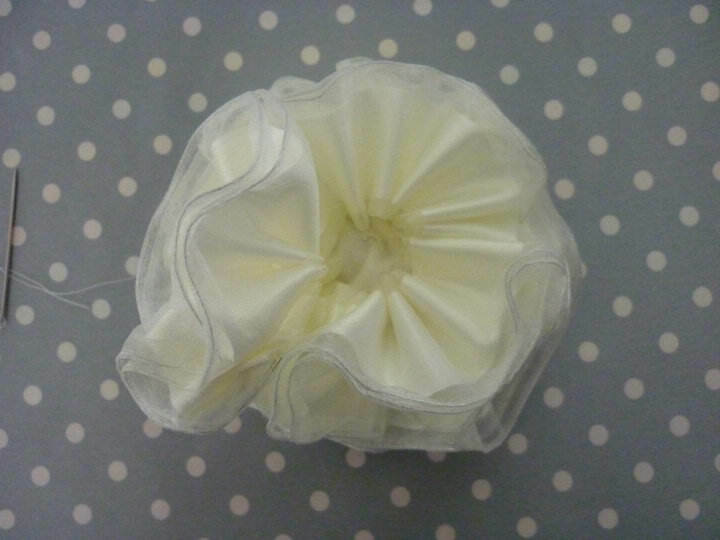 STEP 9) Finally sew the second circle of felt onto the back of the flower and you will have a beautiful hair piece perfect for a bride or perhaps create a smaller version for a bridesmaid. 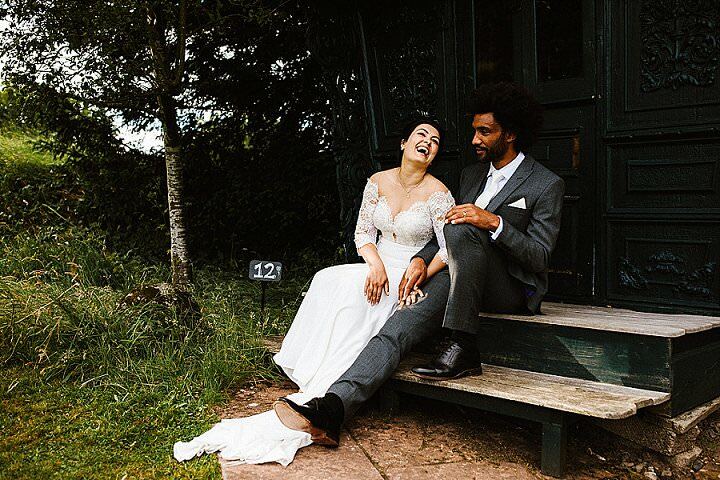 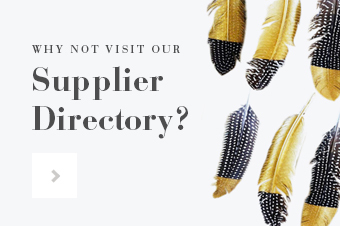 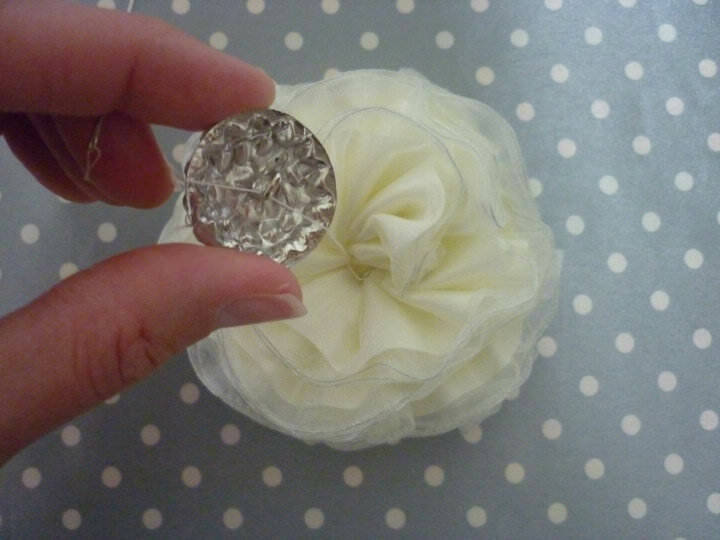 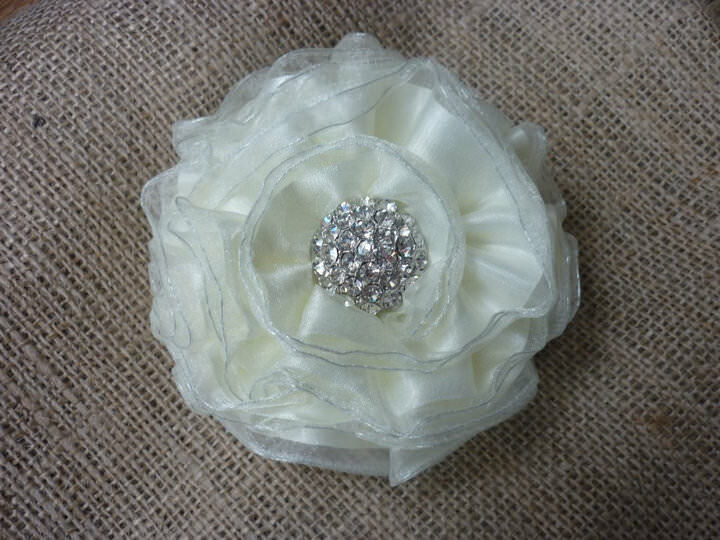 Alternatively you can use a brooch back instead of an alligator clip and create a corsage for a mother of the bride, selecting a ribbon colour that matches their outfit. 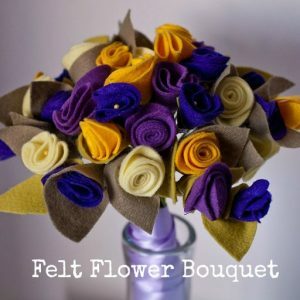 Although I’m having a fresh flower bouquet, I am considering making a fabric flower throwing bouquet as I would really like to give my real bouquet to my mum to enjoy as a thank you for all her support. 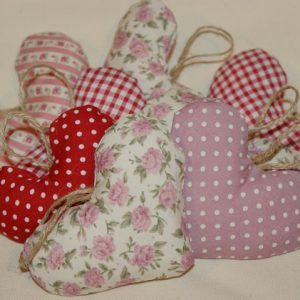 But I still want to throw a bouquet and this way the lucky lady can keep it forever without it wilting! 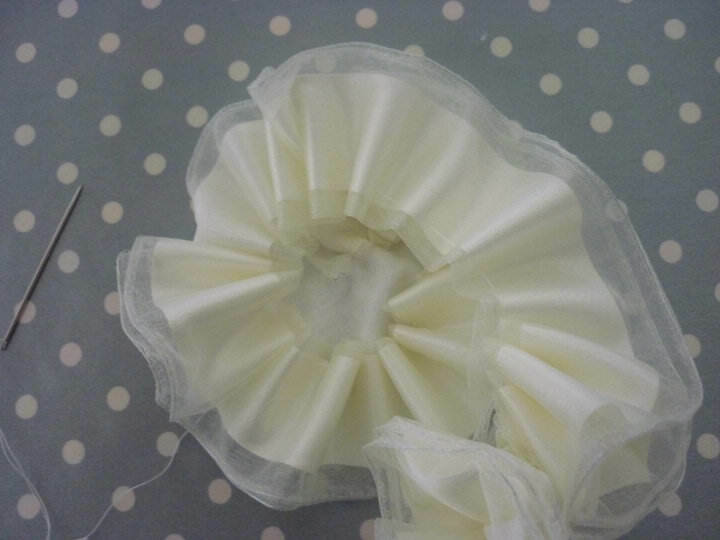 I want to make two or three different styles of fabric flower, and this is a new one in my repertoire.